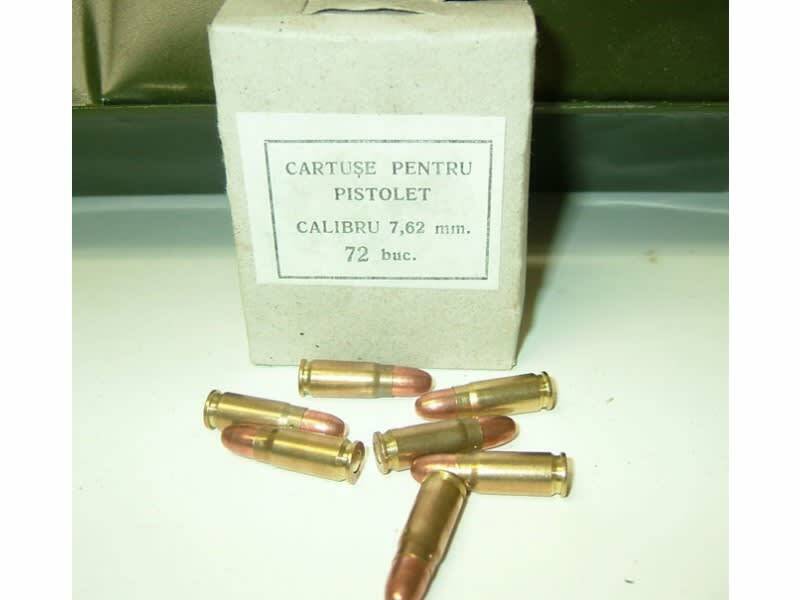 Romanian 7.62x25 Ammunition, Brass, Berdan, 1980's Production, 86 grain FMJ, bright and shiny, sure fire. 1224 round sealed tin containing (17) 72 round boxes. 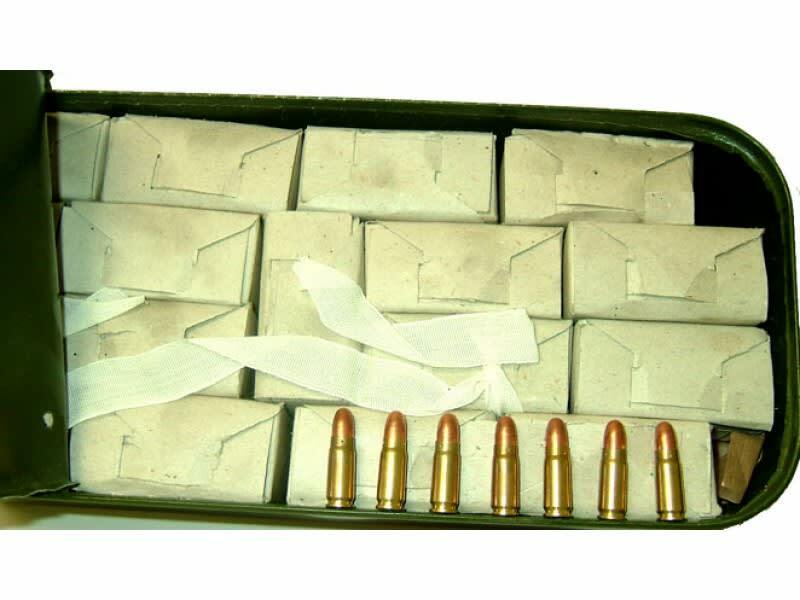 This is by far the nicest surplus ammo available in this caliber. Sold in a 1224 round sealed tin. Individual 72 round boxes available here. 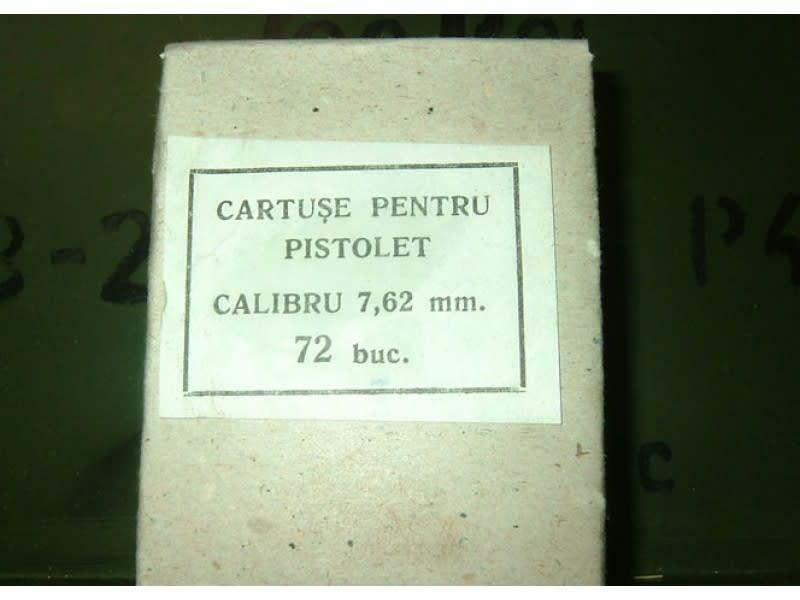 The Romanian 7.62x25 ammo was always the top of the line in this caliber with no hard primers or concerns. It is 80's production, Sure-Fire, very flat shooting and accurate. Corrosive of course as all of this caliber surplus is but cleans up easily and is typically not a concern in the weapons that fire this round. 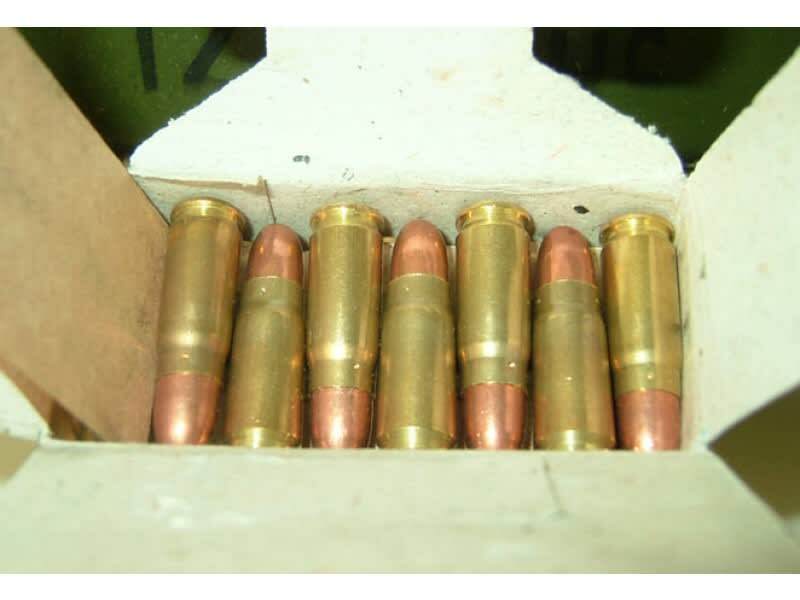 Unlike 9mm, .40 caliber or other pistol rounds, the 7.62x25 round is unique and more fun to shoot than just about anything out there. It roars like a lion, throws a flame that is quite impressive and draws attention from others on the range. It is basically a shortened rifle round and as a result, shoots faster and flatter than virtually any pistol round out there. I love shooting this round and you will too! 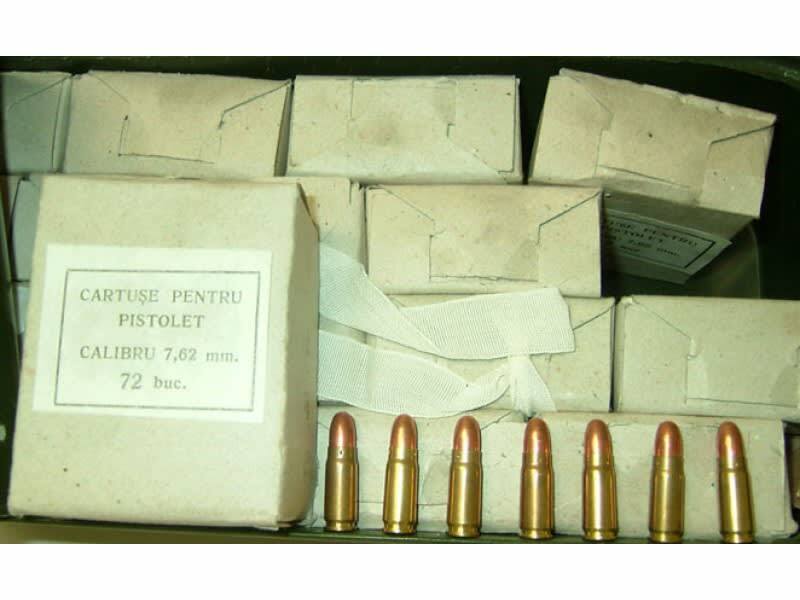 Romanian 7.62x25 Ammunition, Brass, Berdan, 1980's Production, Sure Fire...17- 72 Rounds Boxes per 1224 round Sealed Tin. 86 Grain FMJ, Bright and Shiny... 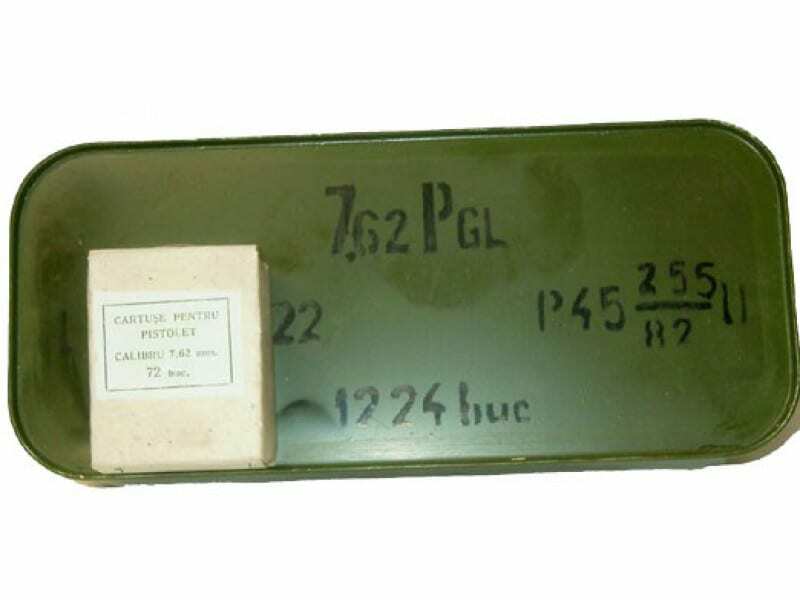 This is by far the nicest surplus ammo available in this caliber.